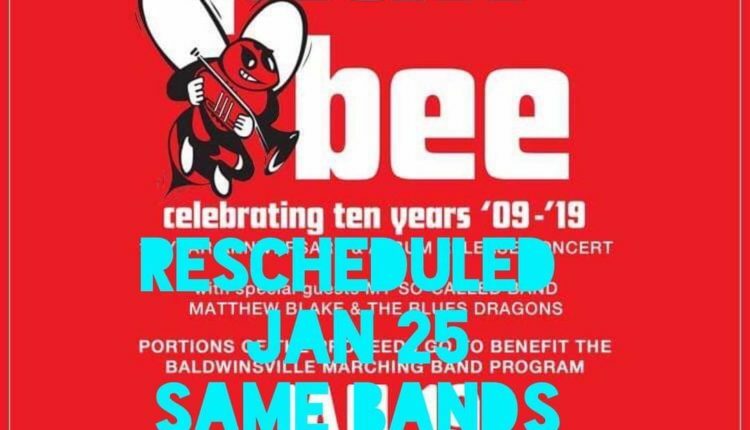 Due to the impending winter storm expected to hit the area this weekend, the Plan Bee show at Syracuse’s Palace Theater featuring the Baldwinsville High School Pep Band, My So-Called Band and Matthew Blake & the Blues Dragons has been rescheduled. 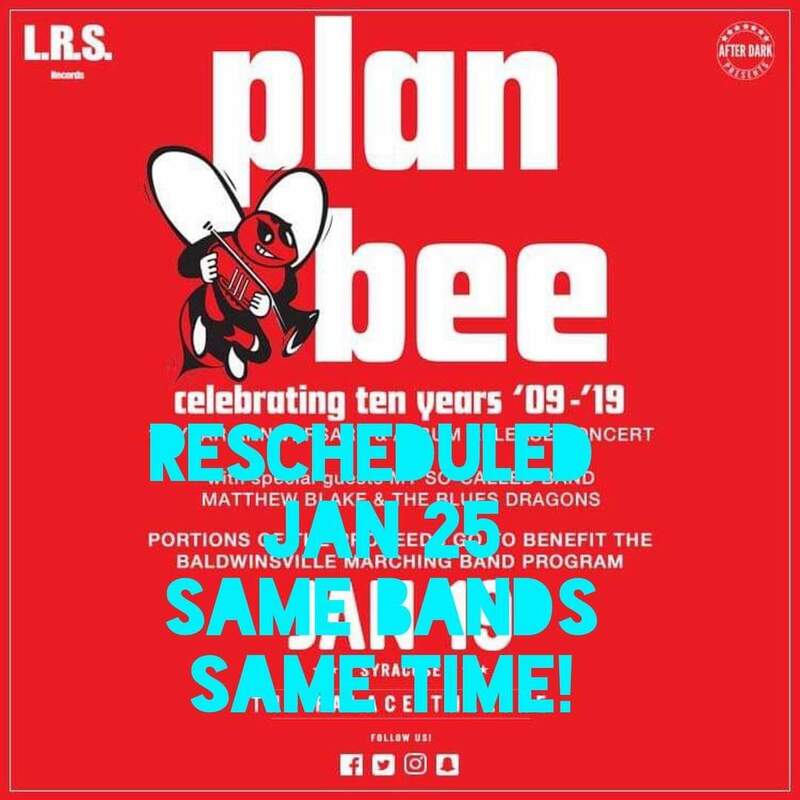 The new date for the show, which is a celebration of the release of Plan Bee’s new LP, Bee Sides on Syracuse’s L.R.S. Records as well as a fundraiser for the school’s marching band to perform in the 2020 Rose Bowl parade, is now Friday, Jan. 25. Tickets already purchased will be honored on the new date. 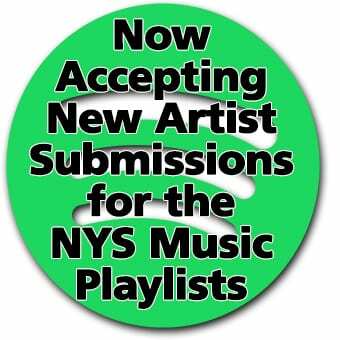 For more information on the show, check out the NYS Music piece announcing the show here.